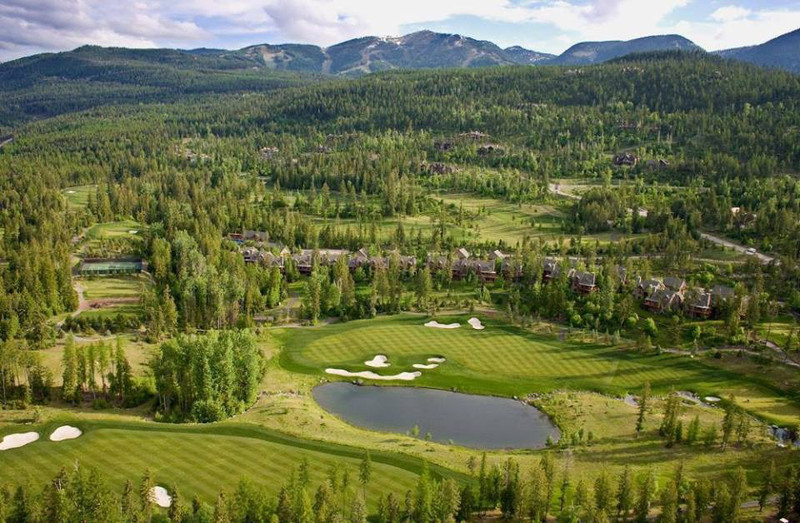 Iron Horse is a private golf club nestled in beautiful Whitefish, Montana. Just minutes away is Glacier National Park, world-class downhill skiing at Whitefish Mountain Resort, water recreation on Whitefish Lake, and Glacier Park International airport. 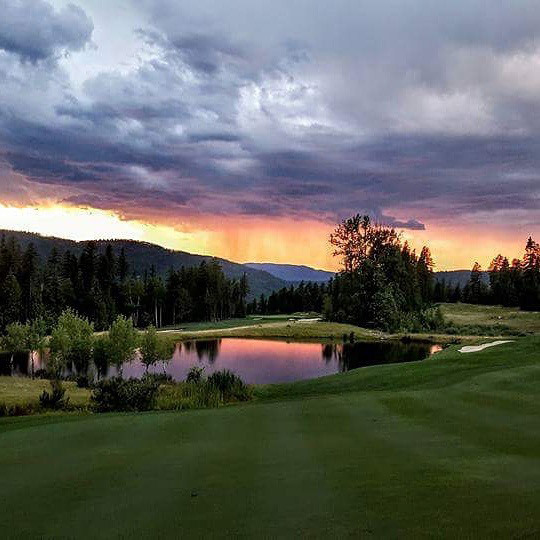 Memberships are available with or without the purchase of property and offer an unrivaled way to experience the grandeur of Big Sky Country. Many facilities at Iron Horse were renovated in 2009 to better serve our members. In addition to 2009 renovations, the members of Iron Horse voted to refurbish the facilities in 2018. Included in the refurbish plans: covered patio kitchen, new expanded pool deck, Clubhouse main floor and bathroom remodel, and Clubhouse interior design updates (fixtures, furniture, carpet, tile, etc.). The Clubhouse boasts an exceptionally merchandised pro shop, fully-equipped fitness center, and Men’s and Ladies’ Locker Rooms with private massage rooms. Upstairs is our beautiful carved wood bar and extraordinary fine dining in the restaurant. 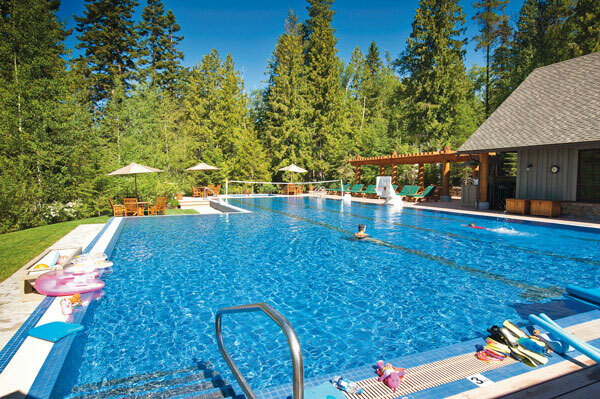 In addition, the Club includes two outdoor swimming pools, four outdoor tennis courts, and a marina on Whitefish Lake. Our Fish Camp Lodge is home to our Outdoor Pursuits and Kids’ Camp programs as well as group fitness classes. It also serves as a great gathering place for private events for members, from business meetings to summer cocktail parties. We want your experience at Iron Horse to be one of relaxation and enjoyment. Our member services team is available to arrange lodging, spa and dining reservations, purchase groceries prior to your arrival, and help plan your complete itinerary. 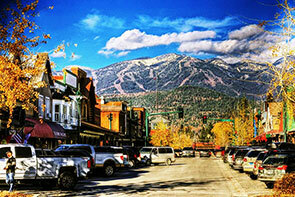 Our goal is to ensure that Iron Horse Golf Club is your family’s ideal private mountain retreat. 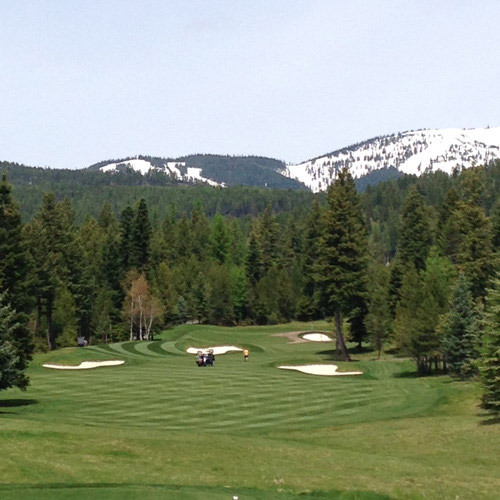 Iron Horse prides itself on its Tom Fazio designed 18-hole golf course. The course consists of bluegrass fairways and smooth bent grass greens that weave through a forest of Fir and Tamarack trees. 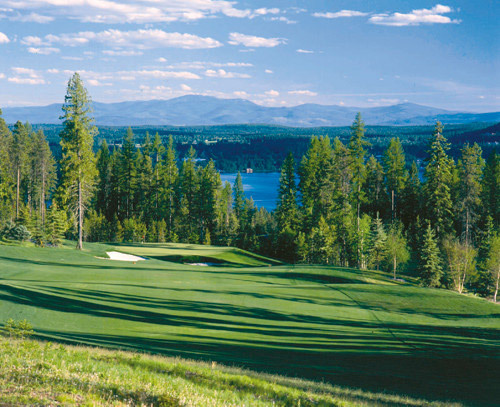 The views of the Montana Rockies and Whitefish Lake provide a dramatic backdrop on nearly every hole. The golf course stretches to 7,028 yards from the championship tees or 4,795 yards from the front tees. Our Par 71 course features five tee boxes per hole, ensuring a playable yet challenging course for golfers of all abilities. The club also offers a first-class practice facility. For a premium experience at a course that brilliantly balances challenge with fairness, few options in the Pacific Northwest rival the offering found at Iron Horse. Iron Horse is proud to offer an Outdoor Pursuits program that caters to members of all ages. There are limitless outdoor recreational opportunities in Whitefish and Outdoor Pursuits is dedicated to helping you explore all of them. Experience horseback riding in Glacier National Park or test your courage whitewater rafting on the Flathead River. Iron Horse is a family-oriented Club. Keeping with that tradition, we offer a kids’ camp, Camp Iron Horse, which is designed specifically for the children and grandchildren of our members. Camp Iron Horse offers fun and educational activities for children and teenagers that excite the mind, body and spirit, teach knowledge and skills, build character and self-awareness, and promote cooperation. Activities include laser tag, overnight tipi campouts, rock climbing, and much more. Our camp counselors are responsible, caring, and highly qualified. All are trained in various fields as well as First Aid and CPR. 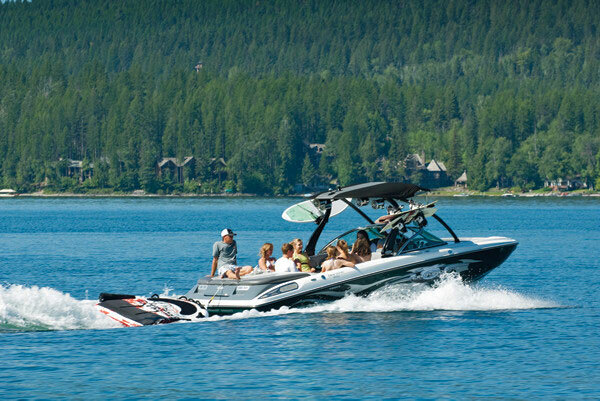 Our full-service marina on Whitefish Lake offers kayaking, wakesurfing, wakeboarding, water skiing, and tubing lessons on our ski boats. Unwind with family and friends on a catered pontoon cruise while you enjoy a Montana sunset on the lake. Our highly-trained staff is here to provide you with an unforgettable Whitefish Lake experience. Iron Horse also permits the extended family of a member to to use the membership privileges upon payment of such fees established by the Club. Extended Family is defined as parents, grandparents, adult children 23 years and over, and grandchildren of the member and spouse. Iron Horse has reached its’ full capacity in both Golf and Social Memberships. All membership sales are current member resales. A Golf Membership & Junior Golf Membership entitle the member to use all golf, dining, tennis, swimming, marina, fitness, and social facilities of the Club. Junior Golf Memberships are available to applicants under 40 years old.